Sometimes it takes a fresh scope to gain new perspective on life. That’s certainly the case for the two protagonists in the upcoming romantic drama, ‘Maine.’ The characters are strangers who ultimately influence the other’s views after they begin traveling together. Their intense connection is showcased in ‘Chips,’ the exclusive clip that ShockYa is premiering from the film. ‘Maine’ follows a married Spanish woman named Bluebird (Costa) who attempts to hike the entire Appalachian Trail solo in order to find clarity, but her solitude is interrupted by a young American hiker (Mann). The pair develop an emotional and romantic connection while traveling together, but Bluebird ultimately must face the trail and her own feelings alone. 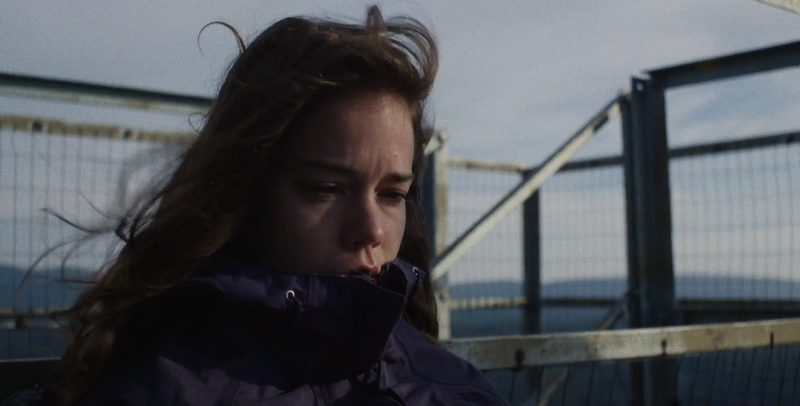 ShockYa is premiering an exclusive clip from writer-director Matthew Brown's romantic drama, 'Maine,' which features Laia Costa and Thomas Mann.